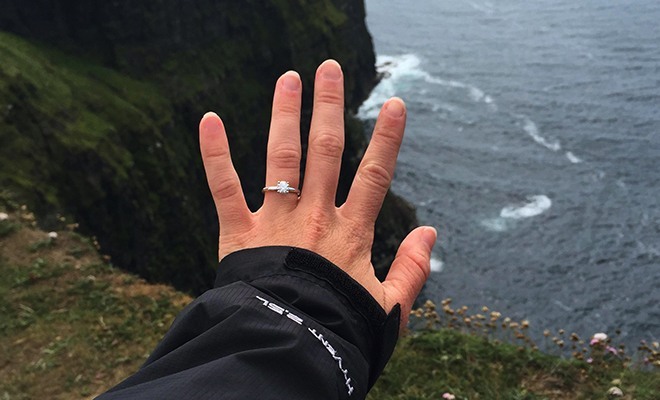 Alyssa & Joshua's Cliffs of Moher Proposal - Shane Co.
Talk about a picturesque proposal! When we saw gorgeous photos of Alyssa and Joshua’s engagement in Ireland, we couldn’t wait to share their story! 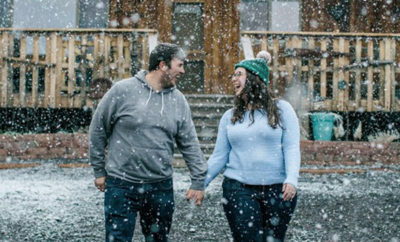 Alyssa and Josh met in 8th grade and started dating during their freshman year of high school. When they graduated, the two ventured off to different colleges. After just one year apart, Alyssa transferred schools to run cross country, while Josh had made a switch for his cadet program—they both ended up at the same university. It seems fate just wanted them to be together! 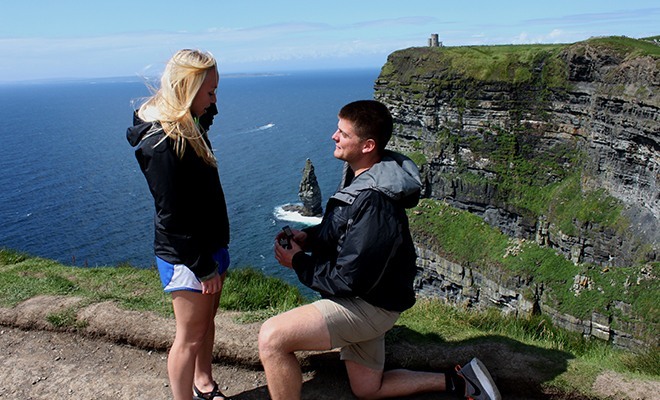 This past summer, Alyssa and Josh both got the opportunity to study abroad in Ireland for five weeks, and the number one place Alyssa wanted to go on the trip was the Cliffs of Moher. 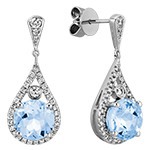 She had seen many pictures that were absolutely breathtaking! So, on their first open weekend, she and Josh took a trip to Galway, booked a day tour over to the cliffs and the Aran Islands, and rented bikes so they could explore the island. 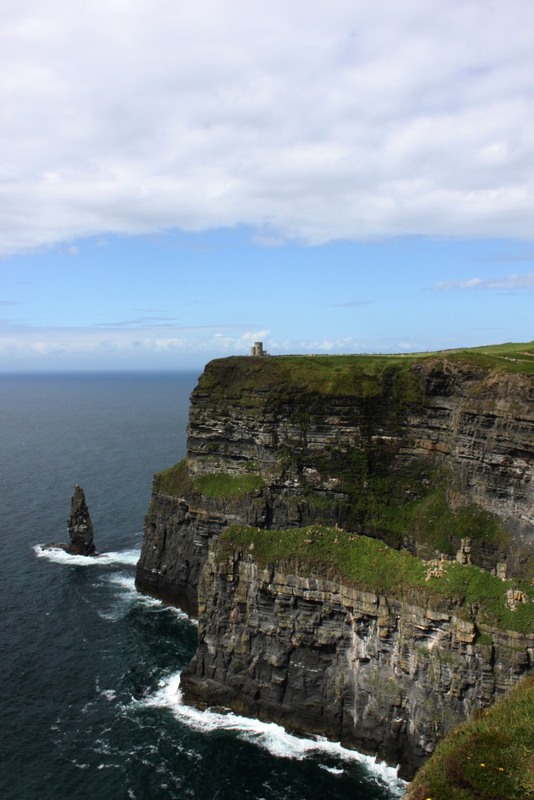 When they were done riding their bikes around the island, they took a ferry boat and a bus to the Cliffs of Moher. On the bus, Josh asked Alyssa if she was excited to see the cliffs, and he couldn’t stop saying how excited he was too! When they finally arrived, Alyssa was amazed and wanted to take as many pictures as possible. Josh slowly guided her along the hiking trail as she followed with the camera. Eventually, he stopped on the trail and asked if they could take a picture together. Alyssa was pretty surprised, because normally Josh hates taking pictures. Josh asked a passerby to take a picture, and he and Alyssa posed for a gorgeous photo in front of the cliffs. Then he asked if they would take just one more photo—that’s when he got down on one knee! 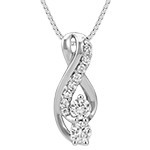 Josh looked into Alyssa’s eyes as he opened a box with the most beautiful ring she had ever seen and asked his sweetheart of seven years to marry him! 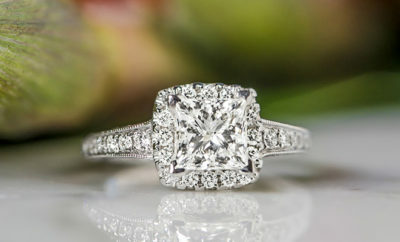 Josh said he selected the ring because he knew that Alyssa wanted something simple with a princess cut diamond. 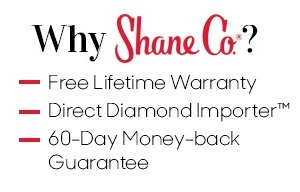 He wanted to make sure he got a special and unique diamond that matched everything Alyssa could want, so he worked with Shane Co. associates to bring in the diamond of his and her dreams! Josh and Alyssa will be getting married in May of 2016 in Georgia. We are so happy they let us be a part of their love story!